Pretentious Title: The Legend of Eli Monpress, official launch!! The omnibus has already been towering over the other books at the bookstore for a while now, but today is the OFFICIAL release date for The Legend of Eli Monpress omnibus! HOORAY! This means that the omnibus is now available for ebook, which most retailers have posted for $9.99. That's crazy awesome, it's like $3 per book! But ebooks don't really show you how impressively huge this thing is. Let's see this big brick of awesome again, shall we? I love that picture. It's like Eli's about to get the drop on Eli! 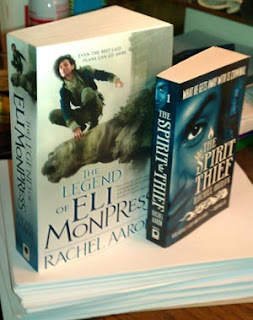 Anyway, for those who are interested I have several things up and about on the interwebs today in celebration, starting with a guest post on Fantasy Book Critic about The Changing World of Eli Monpress! HePore I talk about how Eli's world has changed through the books, including the final two volumes. I also have an interview up at The Waterworld Mermaids blog! 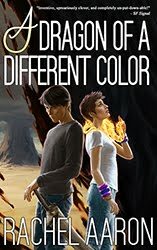 This is mostly writing related, but I also talk about the Eli books. Finally, don't forget that you can still win a signed copy of the Omnibus over at Fantasy Book Critic! The contest is world wide and open until March 10, so go over and put your name in the hat if you haven't already! On the review front, lots of new reviews are out! 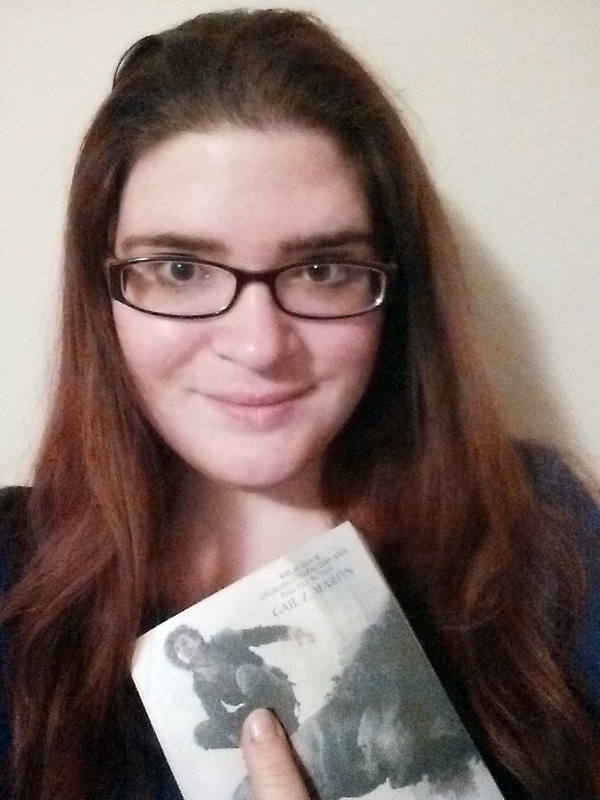 Meghan from StellarFour totally made my day with her awesome review of my Eli world novella, Spirit's Oath. Pornokitsch reviewed The Spirit Thief along with another thief book, Greatshadow. Thieves are hot these days! Book Chick City reviewed Spirit Thief and Spirit Rebellion on audiobook. If you haven't listened to the audio versions of my books by the way, they are completely amazing. Luke Daniels does such a good job with the voices. And finally, The Bookbag got all the way through the omnibus and loved it! Yay! Ok, I think that covers everything! Thanks as always for reading and I really hope you get a chance to pick up The Legend of Eli Monpress. I know I've been kind of crazy about it, but the Omnibus bind up is really, really, REALLY pretty! Eli would totally steal a whole truck full, just sayin. any idea when the fourth and fifth books might be available as audiobooks?